As a pioneer of the American thrash metal movement, Megadeth rose to international fame in the 1980s, but experienced numerous line-up changes, due partly to the band's notorious substance abuse problems. Two months after lead guitarist Dave Mustaine was fired from Metallica due to drinking, drug use, violent behavior and personality conflicts, Mustaine, bassist David Ellefson, guitarist Greg Handevidt, and drummer Dijon Carruthers formed Megadeth in Los Angeles. Mustaine later said, "After getting fired from Metallica, all I remember is that I wanted blood. Theirs. I wanted to be faster and heavier than them". According to Mustaine, the name "Megadeth represents the annihilation of power. We spell the name phonetically because the meaning to us is the same as you get out of the dictionary; it's hypothetical body count after a nuclear fallout. It's a million deaths, and we want to leave our audience shell-shocked wherever we go." Though Megadeth is the first band to use this name, Pink Floyd in their early years used the name with a variation in the spelling (Megadeaths). Early in 1984 Megadeth recorded a three song demo, featuring Mustaine, Ellefson, and Rausch, which contained early versions of "Last Rites/Loved to Death", ( sample (help•info)) "Skull Beneath the Skin", and "Mechanix". Kerry King (of Slayer fame), covered a handful of live dates while a permanent replacement was sought. After just a few shows in 1984, Lee Rausch was replaced by fusion drummer Gar Samuelson. On the strength of their three song demo, Megadeth signed with the New York based independent label Combat Records, and in December added second guitarist Chris Poland, a friend of Gar's from the fusion scene. But From 1983 to 2002, Mustaine and bassist Dave Ellefson were the only continuous members of the band. After finding sobriety and securing a stable line-up, Megadeth went on to release a string of platinum and gold albums, including the platinum-selling landmark Rust in Peace in 1990 and the Grammy nominated, multi-platinum Countdown to Extinction in 1992. Megadeth disbanded in 2002 after Mustaine suffered a severe nerve injury to his left arm. However, following extensive physical therapy, Mustaine reformed the band in 2004 and released The System Has Failed, followed by United Abominations in 2007; the albums debuted on the Billboard Top 200 chart at #18 and #8, respectively. Megadeth, along with their new lead guitarist Chris Broderick, released their twelfth studio album, titled Endgame, on September 15, 2009. Megadeth has had commercial success worldwide and has sold near 25 million albums, with six consecutive albums being certified platinum in the USA. 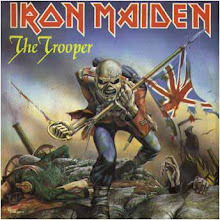 The band has also received great critical acclaim with seven consecutive Grammy nominations for Best Metal Performance. In the band's 24 active years, Megadeth has had 20 official members, with Dave Mustaine remaining as the driving force, main songwriter, and sole original member following the end of his musical partnership with David Ellefson in 2002, due to personal disagreements. 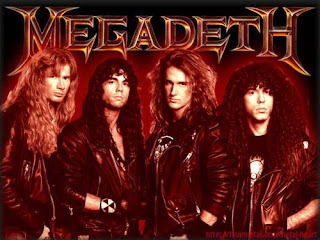 In the mid-late 1980s, Megadeth became one of the "Big Four of Thrash," along with Metallica, Slayer, and Anthrax, who were responsible for creating, developing and popularizing the thrash metal sub-genre.